Choosing a Tarot deck can be a daunting process. There are so many different designs, artists, and themes. You may “Google” various sites that will show you pictures of the individual cards in various decks; you may observe the various decks various Tarot readers use at Metaphysical Fairs and ask those practitioners why they chose a particular deck; but ultimately you should select the deck that most appeals to you. You should also be prepared to try a different deck if your choice doesn’t work for you as you hoped it would. One of the things I look for in my Tarot readings is the state of balance or imbalance in my clients’ lives. When we are balanced, life tends to be easier to manage; when we are out of balance, it can be harder to make decisions or to see what the better option might be. While I cannot and will not tell my clients what to do or how to live their lives, I do strive to help them find a better balance from which to make better choices. Balance is not only a matter of conscious thinking, it is also connected to the seasonal rhythms of Planet Earth. Since these seasonal rhythms are felt by everyone, Spirit prompts me to share these thoughts with you. Balance is an important part of our lives. We strive to maintain balance between work and play, waking and sleeping, friends and family. 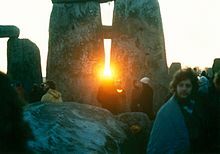 There is also the balance we notice, consciously or not, as seasons progress during the year, especially in the Solstices and Equinoxes.